When it comes to disease prevention, immunizations are key. Getting vaccinated protects you and those around you. Our main focus is to help you and your loved ones stay up-to-date on the recommended vaccines. We offer a variety of immunizations. We can bill most insurance companies. Our highly qualified staff can easily administer these immunizations here at the pharmacy. We offer two pneumonia vaccines- Pneumovax23 and the new Prevnar 13- year round to protect you from pneumonia. These vaccines are recommended for everyone 65 years old and older as well as adults 19-64 year who have diabetes, chronic lung disease, chronic heart disease, chronic liver disease or alcoholism. For more information about pneumonia vaccines, please ask our pharmacist. We are happy to provide a copy of the current Centers for Disease Control Vaccine Information Statement at your request. We offer influenza vaccine seasonally to protect you against the flu. All people 6 months of age and older should get flu vaccine. At Gordon’s Pharmacy we offer the vaccine for ages 11 and older. This vaccination is especially important for people at higher risk of severe influenza and their close contacts, including healthcare personnel and close contacts of children younger than 6 months. Young children, people 65 and older, pregnant women, and people with certain health conditions – such as heart, lung or kidney disease, or a weakened immune system are at higher risk for complication and should get yearly vaccinations. For more information about influenza vaccines ask our pharmacist. We are happy to provide a copy of the current Centers for Disease Control Vaccine Information Statement at your request. We offer Zostavax, or the shingles vaccine, year around to protect you from the painful skin rash shingles. Shingles is caused by the Varicella Zoster virus, the same virus that causes chickenpox. 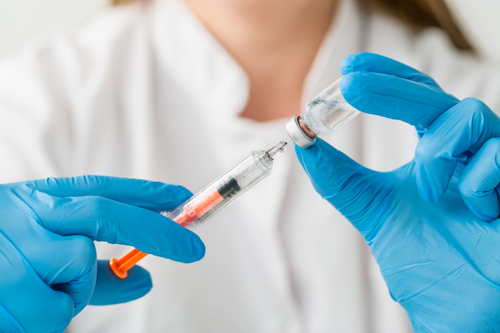 The Center for Disease Control recommends this vaccine for all people age 60 years and older, however the FDA has approved this vaccine for all people 50 years and older. For more information about shingles vaccines ask our pharmacist. We are happy to provide a copy of the current Centers for Disease Control Vaccine Information Statement at your request. We offer Tetanus-Diphtheria-Pertussis Vaccine or simply Tdap year around. All three diseases, Tetanus (Lockjaw), Diphtheria and Pertussis (Whooping Cough) are diseases with potentially serious complications. Over the past few years there has been an increase in the number of cases of Pertussis or Whooping Cough. Pregnant women and caregivers of infants should have a dose of Tdap. For more information about who else should get Tdap please ask the pharmacist. We are happy to provide a copy of the current Centers for Disease Control Vaccine Information Statement at your request. We now offer the Hepatitis A Vaccine for adolescents. Beginning with the 2014 school year all children enrolled in Oregon Schools are required to have a Hepatitis A series vaccine. Hepatitis A is a two shot series. The doses are given six months apart. For more information about who should get the Hepatitis A vaccine please ask the pharmacist. We are happy to provide a copy of the current Centers for Disease Control Vaccine Information Statement at your request. *Influenza, Tetanus-Diphtheria and Pertussis (Tdap) and Hepatitis A vaccines are available for adolescent aged children greater than 11 years old.